Just Reduced and ready to go! This beautifully updated Townhouse is in a prime location! New "great looking" quality flooring throughout! It is accented by all 6 panel doors, high ceilings, & 5inch baseboards & crown molding etc., not to fail to mention the hardwood staircase! It comes with a Large Kitchen with ceramic and porcelain tile, plus all stainless steel kitchen appliances; a large walk-in closet pantry, and laundry room including a washer/dryer. There are sliding glass doors out to the large lanai with a huge storage closet. All looking over a tranquil pond with daily Ducks. All of which is off the Large Living room Dining room combination including a charming 1/2 bathroom. 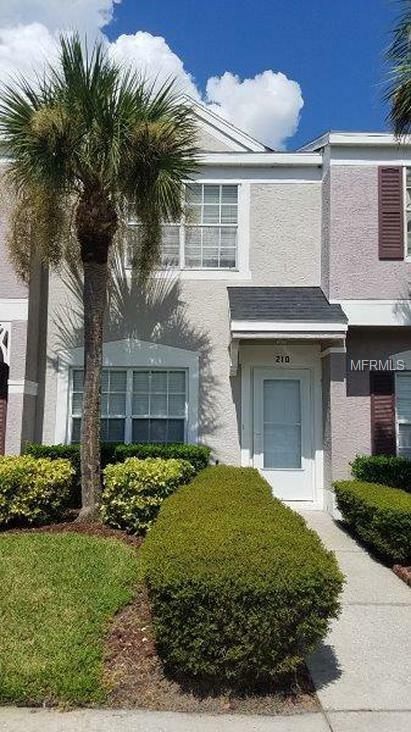 This lovely Townhome is only 5 doors from the community pool. Next, On Level 2 going up the lovely staircase are 2 large bedrooms with all the similar trim work! There is a very large center hall bath with double entry doors. One doorway is from the hall & one is a private entry from the huge master bedroom room. There you will find large closet space and added storage. Add to all of this is a new front door and a new glass and screen storm door to set it all off! OH...not too forget mentioning its great location for shopping, restaurants, and 20 screen theater just 2 blocks away! Come see it today! PS: the whole community is in the process of a new exterior painting job! I guarantee you won't be disappointed! There are some great financing programs available with little to no money down. You can Own this for less than rent! Listing provided courtesy of Nations Group Realty.